Tag Archive | "Basic Banking 101"
College is great time to build credit, but it can also be a time where you don’t think too much about spending habits. College students are now coming out with more debt than before and if they spend without being informed, they can accumulate credit card debt. Here are a few tips to help you manage your money. – Are you going to be charged for carrying a balance? – What’s the interest rate? – Is there a penalty for late payments? – What is the most you can spend? 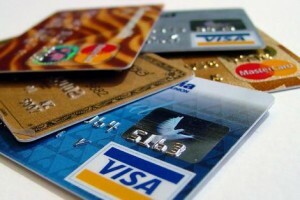 Debit cards are great if you don’t want to worry about carrying around cash and interest fees. However, it’s important to keep track of your purchases and not overdraw your account. You can get charged significantly if you let your account get into the red. Set up a budget and don’t let your balance go below a certain amount, it can help you save money. It’s also important to make a budget for your income and have a savings account. It’s important to save money for the future or have money in case of an emergency, and many banks offer savings accounts. You can transfer money between your checking account and your savings account and some banks may allow you to have a certain amount transferred into your savings every month. Once you have an account, you may want to set up a budget to help you keep track of your spending. Check your bank account often through the bank’s website, by balancing your checkbook, by a bank teller, or even with a phone app. Most banks have online services, so take advantage of them and keep track of how much you’re spending and how much money you have left. It’s hard to mentally keep track of all of this information, so checking your account often is a good idea. If there are any mistakes in your account, you will be able to fix them right away instead of a later date, when you may not have proof. After deciding your needs, choose a banking option right for you. Always check your balance before big purchases to ensure you won’t be charged fees. Maintaining a bank account doesn’t have to be stressful, and once you have the basics, you can build great credit and save for the future. Today’s guest article comes from Priya Sudendra. He is a junior at the University of Colorado and a staff writer for CollegeFocus, a website dedicated to helping students deal with the challenges of college, including housing, finance, style, health, relationships, and transferring from a community college to a four-year university. You can follow CollegeFocus on Twitter and Facebook. Today’s guest post is provided by Ed O’Brien. He is an expert writing in all things pertaining to personal finance, specializing in credit repair. For more of his articles, visit his blog: CreditRepair.org. A 2009 study by Sallie Mae revealed that the average college senior has $4,100 in credit card debt and 85% of college freshmen carried a credit card balance with only 17% of college students paying their credit card balance in full every month. Credit card debt can be disastrous for college students who typically don’t have the income to pay for a credit card every month on top of living expenses and junk food. Unlike student loans — where your payments don’t typically start until six months after you graduate — your credit card bills will be due within weeks of spending. While you’re out looking for a job, you still have to make your credit card payment, which could be as much as $100 on a balance of $4,000. The first few years after college graduation are some of the toughest years of your life. While you’re trying to get established in the real world, the last thing you need holding you back is extra credit card debt and a bad credit score. So it’s important for you, as a college student, to protect your credit and stay out of debt. The biggest thing you can do to avoid credit card debt is avoid charging a balance you can’t afford to pay off at the end of the month. Contrary to what you’ve probably grown up believing, credit cards aren’t for purchasing things you don’t have the money for. If you charge something you can’t afford to pay for, you then risk missing your credit card payments and dealing with a slew of negative consequences. When you miss a credit card payment, the credit card issuer charges you a late fee that’s equal to your missed payment or $25, whichever is less. Late fees can’t exceed $25 (or $35 if you’ve been late previously within the past six months), but when you’re a college student with limited funds, $25 is a lot of money to send to a credit card issuer on top of your regular minimum payment. If you miss your payment by a couple of days, make it as soon as possible. When your payment gets more than 30 days late, the late notice goes on your credit report and can impact your credit score. Your credit report is a document that includes all your credit payments habits and your credit score is a numeric evaluation of your credit report. Businesses like creditors, lenders, insurance companies, utility companies, and apartment landlords use your score to make decisions about you. When you miss credit card payments, your credit score drops and these businesses are more likely to turn you down. Your credit score is based on five factors — your payment history, amount of debt you’re carrying, age of credit history, types of credit you have, and applications for credit. The two biggest things you can do to protect your credit while you’re in college is pay your credit card bills on time every month and keep your balances low — less than 10% of your credit limit is best. Regardless of the who, when, where, or whys of those all important talks, one key conversation you want to have with your college bound student is that of basic financial knowledge. You have been paying your bills, saving for a rainy day and keeping groceries in the cupboard for a number of years. Now it is your turn to impart your financial “know-how” onto your child. Mary Johnson is the Financial Literacy & Consumer Advocacy Manager at HigherOne and she suggests the following tips to help you broach the money talk with your college student. Clarify Expectations – Who Is paying for what? What do you plan to do if you are short on money? : While you may have already talked about this, it is a good idea to review how much college is going to cost each year and clarify what portion you are committed to paying for. Be sure to discuss all costs associated with going to school such as books, travel, cell phone charges, food and other miscellaneous living expenses. These are areas that students often overlook and you will want to be clear about how much of these costs, if any, you will be covering. If they are receiving Financial Aid, make sure they know the difference between grants and loans and who will be responsible for paying off those loans once they have graduated. Recommend Setting Up A Budget – How much money do you have and how will you make sure you have enough to last the semester/academic year? How much will you need each month to pay your bills and other expenses? What is the difference between a need and a want? : One of the major money pitfalls new college students fall into is spending too much on things like snacks and take-out. Creating a budget will help your student gain control and balance needs with wants. It doesn’t have to be complicated, just something that sets out a realistic picture of how much money they will have and/or earn; and how they plan to spend those funds over the course of the semester or year. You may want to suggest using a sample budget provided by the institution’s Financial Aid office to get an idea of how to estimate some costs like travel and food. Including a small cushion for unexpected expenses isn’t a bad idea either; it will help your student set priorities of what bills must be paid each month and what expenses may need to be reduced. If they are on a meal plan, for example, remind them to take full advantage of what they have already paid for instead of eating out. Also, warn them about the dangers of loaning money to other students or getting in the habit of treating friends when they go out. Explain How to Use a Bank Account – How do you plan to keep track of your banking transactions? Do you know how to balance your bank account? What happens if you overdraw your bank account? 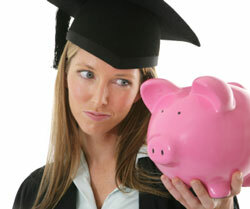 : Often, money management problems when starting college can be traced back to a student’s initial banking experiences. Students often pay unnecessary fees for things like overdrafts and returned checks because they don’t keep track of debit purchases and ATM withdrawals. It is really important to help your student understand how to use a bank account and how to keep and reconcile their own records. It is also important to remind them to use their own financial institution’s ATMs to avoid fees. Point Out The Differences in Payment Cards – What’s the difference between a debit card, prepaid card and credit card? What are your payment obligations when using a credit card? What is a credit score and how can being late on a payment affect it? : There are a number of ways to pay for things without using cash or a check. However, they are very different. A debit card is linked directly to a bank account so when a purchase is made by swiping the card, the student is using funds he or she already has. A prepaid card is preloaded, usually by parents. It contains a limited amount of money which can be reloaded when the funds run out. Using a credit card, however, means the student is borrowing money from whatever financial institution issued the card. If the balance isn’t paid off each month, interest charges will accrue and these can add up quickly.Missing or being late with credit card payments and other bills will damage a student’s credit score, something that may take years to repair. The federal CARD Act implemented in 2010, puts age limits on credit cards—you can’t get one if you’re under 21 unless you have a co-signer or can document that you have enough income to make the payments. If you do decide to co-sign, make sure the credit limit is set to an amount that allows the balance to be paid in full every month. Talk About Protecting Personal Information – Do you know what identity theft is? What should you do if your debit or credit card is lost or stolen? : Identity theft is a fast-growing problem. Students should know how to safeguard payment cards and what to do if a card is lost. Most debit and credit card companies offer protection against fraudulent activity, however they must be notified right away. There are other ways that thieves can gain access to personal information such as using skimmers on card swiping machines, phishing via phone or email solicitations and computer hacking. Remind your student to carefully review bank and credit card statements, shred unwanted documents that contain personal information, lock-up personal records, use secure internet connections and never give out personal information unless the requesting source is truly legitimate. If you would like a printable PDF version of the tips provided by Mary Johnson, you can download a copy here. Hope you found this information helpful. If you think someone else could benefit from these tips, please feel free to utilize the “share tab” below to pass the information along. College can be extremely expensive and without the right budget, you can run through your money quickly and find yourself coming up short. Knowing how much you will spend in a given month is really important. In college, many students are living away from home for the first time and discover what it is like to live within their own means. Even for those students who work and go to school at the same time, it’s easy to spend more than you have. To avoid falling into this cycle, we’ve put together a quick step by step guide on how to create a personal budget. Gather all your data. If you have a job, write down how much you make a month, after taxes. If you have another source of monthly income, financial aid or some type of allowance from family, add that in too. 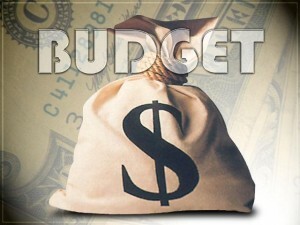 Next, make a list of the bills you pay monthly, such as rent, utilities, cable TV, Internet, and cell phone service. From these pieces alone, you can find out how much disposable income you have left over to spend after paying the bills. Here’s where the estimating comes in. With a typical week in mind, do your best to figure out how much you spent on going out with friends, food, clothing, and other things that aren’t a part of your “regular” monthly bills. Even though you’re guessing at this point, it’s good to stay realistic so you can achieve the budget you’ve built for yourself. Create a new spreadsheet using an application like Microsoft Excel or Numbers in iWork. Both programs come with personal budget templates, or you can create your own using these steps as a guide. Enter in your numbers from step 1 and step 2 above. From there you can see how much you can expect to save or have to put on a credit card each month. Depending on the level of detail you want to add to your budget, you can use this step to also create categories of how you’ll be spending your money. Some popular categories may be eating out/bars, clothing, electronics, etc. 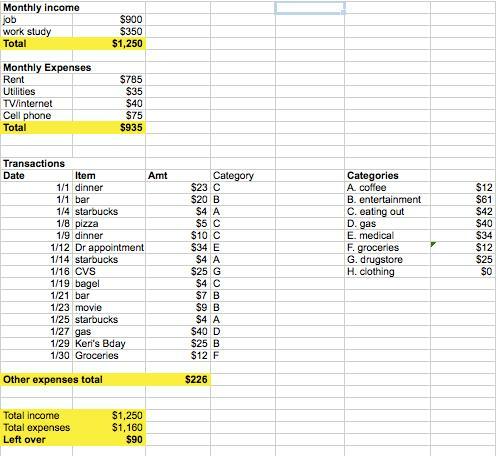 By splitting spending into categories, you’ll be able to tell what parts of your life are most expensive. Now that you have a prediction of your cash flow, it’s time to enter actual data. A key part to creating and maintaining a budget is to keep receipts for whatever you spend, or if you don’t have a receipt, to not forget to log what you spent on what. Once you have receipts to track, decide how you want to track your money, weekly, monthly, every semester/quarter, etc. Monthly is a fairly common standard and what we’ll use in our budget example. After a month of careful receipt tracking, you should have a good record of how much you’ve spent and on what and where. Now you can see how your totals add up. Did you expect to spend more or less than your budget? If you used categories, where did you spend the most? Keep in mind that while your monthly expenses will stay pretty constant, there are certain times of year when you’ll have to spend more than normal. Examples of high spending periods include back to school time, when you’ll need to stock up on school supplies and get college textbooks, and the end of the year when you need to buy presents for those on your gift list. It’s normal to have a balance over on your credit card during these times, just remember to try and pay off your card in full as soon as possible so you don’t get dinged with high interest charges. Credit cards can be tricky to manage while you’re in college, but if you’re keeping a budget and reading the fine print of your credit card policy, you can stay ahead of the game. Do Your Kids Know How To Manage Their Own Money? 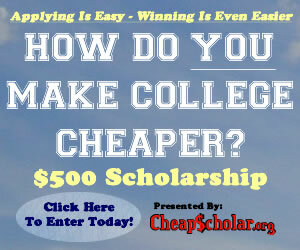 It’s time… You’ve read about how to save for college, borrow for college, pay for college and more. But graduation parties are winding down and this fall… they start college. Are they ready to be on their own? One thing many parents don’t think about is whether their kids know enough about their own money and how to manage it. It’s enough to be looking at some level of student loan debt, but good habits on finance can avoid the problems so many have. Too many teeter at the edge of bankruptcy. While some were caused by the housing crisis, many were pushed to the brink by bad spending habits and misuse of other personal debt. So what can a parent do? Well talking to them about debt is always best. But what to say? Preaching the equivalent of financial abstinence is not likely to sink in. While many don’t think they are qualified, this isn’t rocket science. It follows some pretty basic common sense ideas. The basic principle: Don’t spend what you don’t have. We should not be completely debt adverse, which I’ll talk about later. But this is a good starting thought. How do they get there? Know how much money they have – understand how checking accounts work. Know how to avoid fees. Never overdraw a checking account. Know that the online balance at the bank doesn’t always include everything. Spend smart – While we try to cover a lot of our students’ necessities, there is plenty of opportunity to spend on a campus or off. Things like buying your student a coffee pot and a nice mug can save a lot. Brewing your own coffee costs about 1/8th the price of that cup they buy at the coffee stand on the way to class. 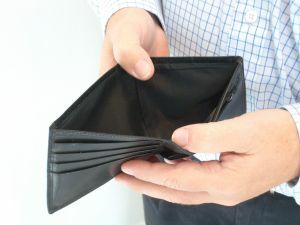 Credit cards can help with convenience or maybe emergencies, but are not a good debt vehicle. While it’s harder now for students to get a credit card, this is still an important rule to know. There is good debt and bad debt. This article from the Christian Science Monitor sums it up nicely. I’ve seen too many students get in serious trouble or even leave college because they worked up a big credit card debt.